The Chakras are energy points throughout the body, and the seven main Chakras are along the spine. 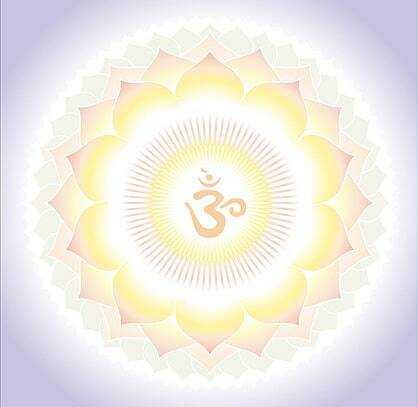 Your personal life force energy, interacts and flows with the Universal life force energy, through the Chakras. Although there are many small Chakras throughout your body, the seven main Chakras interact with the endocrine glands. Because of this, the main seven Chakras are the most important for all levels of wellbeing. Consequently, your overall wellbeing can benefit from Chakra healing, balancing and Chakra meditation. Therefore, click here to learn more in depth about each of the seven main Chakras. The Seven Chakras. Click the links to learn more. Chakra balancing is the art of revitalizing and redirecting the streams of energy flowing through your Chakras. As a result, chakra balance is primarily experienced as deep feelings of happiness and well being. 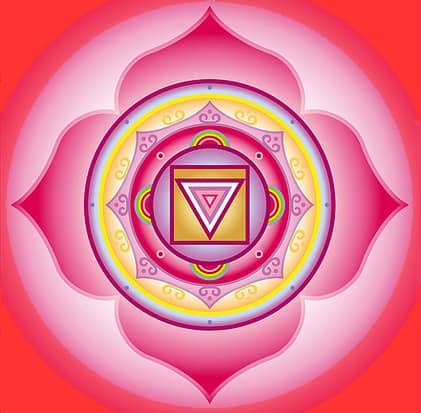 Additionally, Chakra balance leaves you feeling centered and grounded, as well as feeling centered in one’s true self. 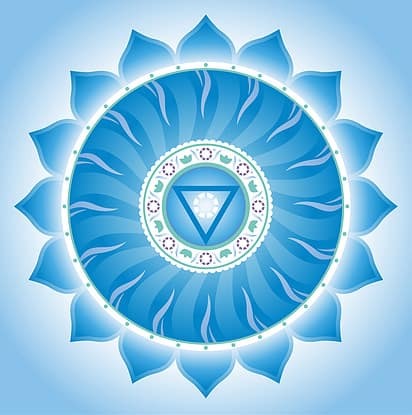 One aspect of Chakra balancing is opening each Chakra. This helps the healthy flow of Universal life energy. In contrast, some Chakras may need to be closed. As a result, this protects against the inflow of negative energy from the environment, or other people. For this reason, take our Chakra Balance Test here, to determine your personal Chakra balance. There are many methods of balancing the Chakras. You can use Chakra stones and crystals, Chakra essential oils, yoga, meditation, color therapy, Reiki, pranic healing, or even herbs. Above all, the fastest, and most powerful way to balance the Chakras, is with sound. Science now understands what shamans and mystics have known for centuries; that all things are in a state of vibration. Above all, the most elemental state of vibration is that of sound. This means, everything, including you, has an optimal rate of vibration. A resonance is the optimal rate of vibration. As a result, when we are in resonance, we are in balance. Above all, the most direct way to influence the resonance of the spirit, is with Chakra balancing sound. Your emotions and mental states can profoundly effect your physical well being. Your mental states and emotions are influenced by each of the seven main Chakras. As a result, your emotional well being is brought into harmony, by balancing the associated Chakras. You can use Chakra stones and crystals, colors, essential oils or most especially, through the Chakra healing sound frequencies. Music and sound has the power to spiritually transform us. Because of that, when exposed to specific sound frequencies long enough, the Chakras will fall into resonance. Consequently, when your Chakras are vibrating in harmony, so will be the rest of you. Chakra healing sounds and binaural beat and isochronic sound therapy can be used to easily bring you into a deep meditation. This results in a realignment of any “out of sync frequencies” you may have. Because of this, you will feel more balanced emotionally and spiritually. Hence, by experiencing the Chakra healing sounds, you can easily make the personal transformations you want. In Tibetan Buddhism, Tibetan Singing Bowls are used for meditation, for trance, and as a form of prayer. Some believe Tibetan singing bowls were simply used to induce a meditative trance. Likewise, others actually believe the otherwordly sounds are a magical tool for spiritual transformation. 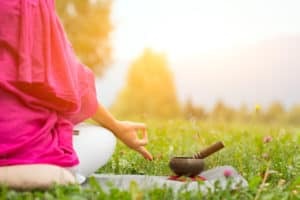 Chakra meditation with Tibetan singing bowls, tuned to the Chakra sound healing frequencies, produce the magic and transforming sounds used in our Chakra meditation MP3s. The raw, organic sounds of the Tibetan singing bowls, combined with sound healing techniques, are unrivaled for inducing meditation. 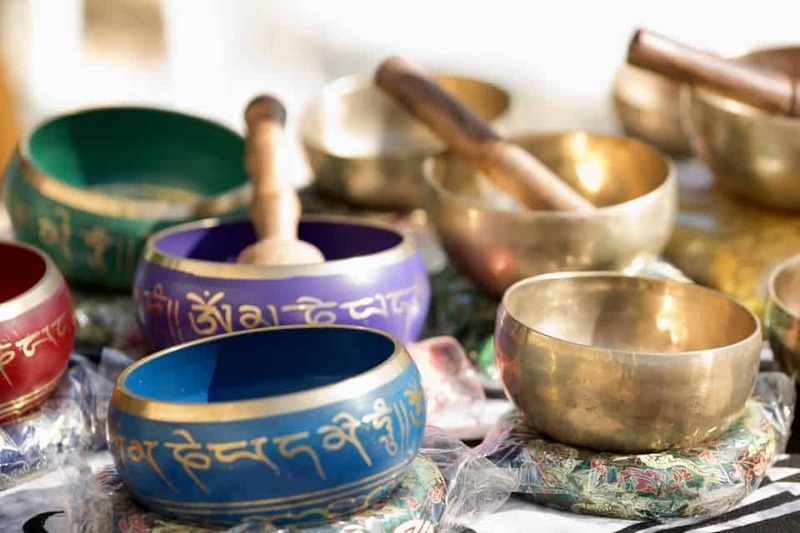 Consequently, using Tibetan singing bowls, tuned to the seven Chakras, achieves a near magical transformation of the mind and spirit. Regularly spaced, pulses of sound are called Isochronic tones. Consequently, they can bring the brain to a desirable level of meditation. The intensity of the tones can go from 0 to 100, in an evenly spaced sequence, creating a balanced state of mind. Lead – Saturn – 1st Chakra. Iron – Mars – 2nd Chakra. Tin – Jupiter – 3rd Chakra. 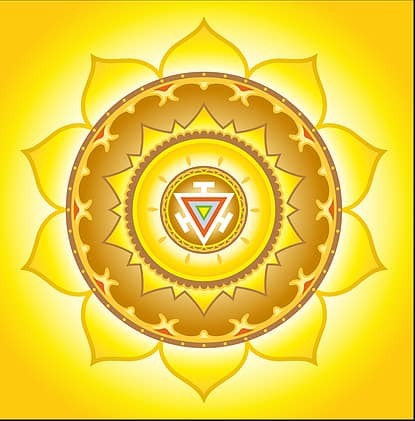 Gold – Sun – 4th Chakra. Copper – Venus – 5th Chakra. Silver – Moon – 6th Chakra. Mercury – Mercury – 7th Chakra. 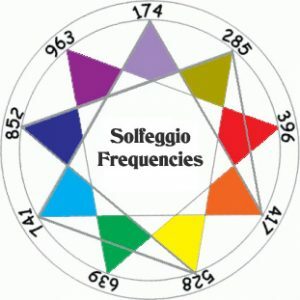 Solfeggio frequencies are the unique sounds used in the esoteric Gregorian Chants. Furthermore, Solfeggio chants are believed to bestow profound spiritual awakening and transformation. Because of this, we have used the Solfeggio Chakra sounds, to create our powerful Chakra meditation MP3s. There is a belief that Solfeggio frequencies have many spiritual, psychic, and even physical healing benefits. For example, the third note, Solfeggio frequency 528, relates to the note MI on the modern Western musical scale. “MI” is derived from the phrase MI-ra gestorum, meaning miracle in Latin. Incredibly, genetic biochemists use this frequency to repair broken DNA, the blueprint on which life is based! 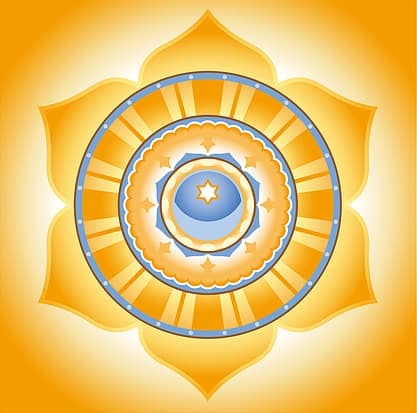 The Solfeggio frequencies correspond to the Chakra sound healing frequencies, with the Crown Chakra vibrating at 963 Hz. 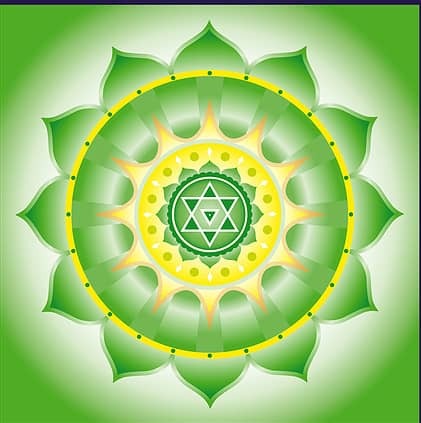 Hence, the Chakra meditation on this website use the Solfeggio Chakra balancing tones, to help heal body, mind and soul. 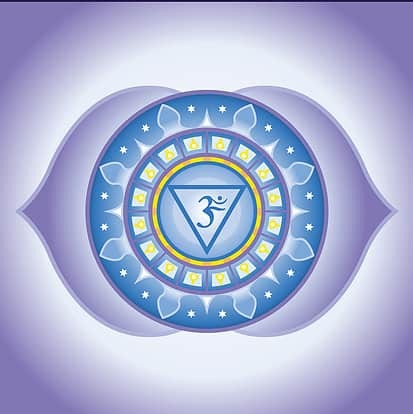 Please explore our website, for more in depth knowledge regarding the Chakras. Likewise, we have resources and tools to achieve Chakra balance, and personal transformation. You can find our binaural beat and isochronic tone MP3s to balance all 7 Chakras, root to crown, here. For more details about each the 7 individual Chakras, including colors, sounds, essential oils, and gemstones, click here. Finally, for our Chakra balance test, to discover your unique Chakra balance, click here.